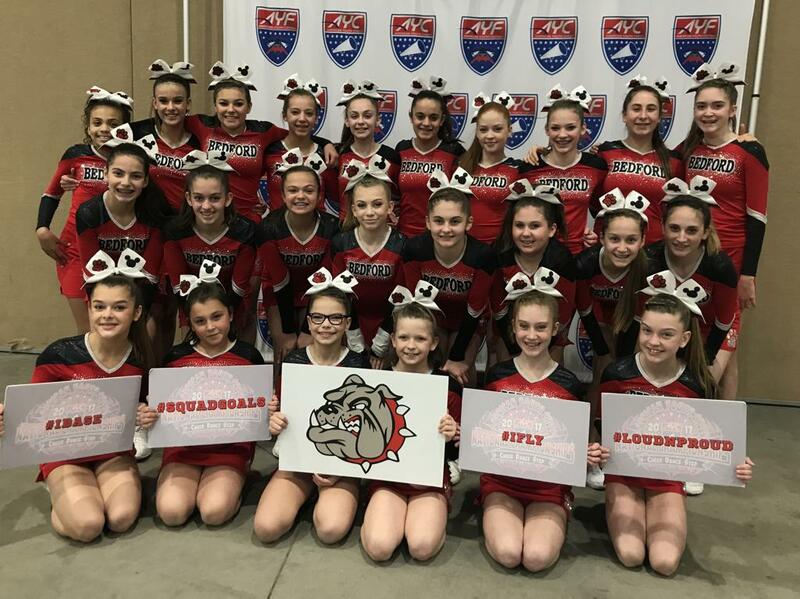 The Bedford Bulldogs Div 14 Cheerleaders headed down to Florida before Christmas to compete with 220 other cheer teams for a national title at the 2017 American Youth Cheer National Championships. This amazing group of girls took 2nd place out of a total 9 teams in their division. Their coaches are very proud of them and how much they have accomplished! GO BULLDOGS!